Packages available from £400 through to £780 on current PROMO deals which typically save 30% off our normal prices. Booking Deposit of £150 required to secure your date. Our FILMING services embrace TWO types of project, namely A) Weddings and Celebrations Videography and B) Commercial Promo Film production for SME/SMB business use on their Social Media and Website platforms. Our business description following is focused on our Weddings activities. In our POPTOP PROFILE your will find examples of our work in BOTH domains and of packages offered for weddings/celebrations events. 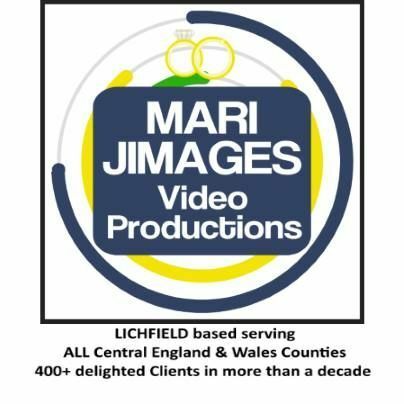 Search "Mari Jimages Video" for our weddings/celebrations website. Search "BizCeeVeeTV" for our Commercial film production website. Serving ALL Middle England counties and beyond, VIDEO memories are truly MOVING, with SOUND, natural, un-posed. Over 400 happy Clients in last decade. Half of our clients are referred from prior Clients which says a lot - check out our Testimonials and ask to speak directly to ANY of our Clients. Current 4 package deals range from our Budget Beater at £400 to £780 which is our Full Monty All Inclusive offering. What can I say .. absolutely amazing. The whole family was in tears. You have done such an amazing job, catching sight of everyone and really doing the day its best. Your choice of music was also great. Scott and I had not remembered half of the day so it was absolutely wonderful to look back on it with such happy memories. All our family commented on how great the DVD was. Thank you so much for filming our special day, you are true professionals – we hardly knew you were there. The DVD brings a tear to my eye every time we watch it. The music you have chosen is absolutely perfect and you have caught some really special moments in between the important bits. I love our DVD so much that I recommended you to both of my sisters and after seeing our DVD they have booked you too ! Thank you so much for our wonderful video which made our wedding day just so special. We can’t stop watching it. We had the best day ever and you have captured the moments so perfectly. I just wanted to say a huge thank you for all your hard work and dedication before and after the wedding. You took the time to get to know us, to plan the day and I found you to be professional, understanding and you genuinely cared about delivering the best video possible. The video is brilliant and has brought us a great deal of joy and will last a lifetime. We've just finished watching our wedding video! You've captured everything we asked for and more!!! It brought back memories of our special day and parts of the day we didn't get to see. We are so happy with the end product!!! I love how you captured our guests mingling, to moments between me and Nix to the kids playing!!! I'm not sure Nix is too happy as I'm now wanting to get married again!!!! How far from your base location will you TRAVEL ? The majority of our work is located in the GREATER WEST MIDLANDS COUNTIES but we regularly work considerably farther away. Bookings from new clients that have been referred from prior clients will often us take us quite a distance from our base. We have worked in central London, in North Yorkshire, in South Wales, in Lowestoft and Lincolnshire, in Basingstoke, in St Albans and many more. 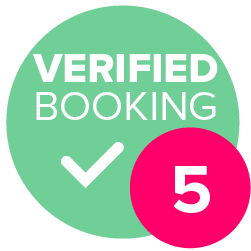 Our FULL MONTY package actually INCLUDES and Travel Costs, whereas with other packages we may have to charge to cover fuel costs if the venues are greater than 30 miles from our base in Lichfield. Can a prospective Client speak directly to any of your prior Clients ? Absolutely YES - you can choose ANY of our Client list and we will provide you with their PHONE and EMAIL ID's to enable you to speak them directly at your convenience. We will NOT set this up - it will be left to you to arrange contact. 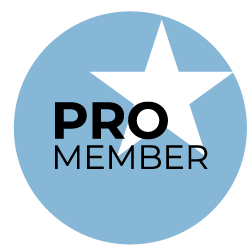 We have FULL CONTENT PUBLISHING RIGHTS over our filmed materials and edit tools. Yes, from our own team and local sector partners with whom we have reciprocal arrangements in the event of an emergency. Client clips can optionally be provided in MP4 format and uploaded to FB, Youtube, Vimeo platforms by the Client, or can be uploaded to OUR Channels if the client does not have FB, Youtube, Vimeo accounts. We provide ALL footage unedited, in addition to the POLISHED EDITED FILM. SONY HD Cameras filming at FULL HD resolution. Dual recording to Compact Flash media plus DV tape media to ensure content is safe even if media failures occur during the filming. We also carry stand-by HD video cameras in the event of damage or other technical failure on the day. We aim for completion of the delivery of the film within 4 weeks from the wedding. Apart from shadowing the group shots being taken by your Photographer, all of our coverage records the natural and unposed essence of the day WITH AUDIO. Its the fact that it captures the natural mood and moments together with the audio that that makes Videography different by a large margin. We take immense effort in the studio to reflect the very best day of your lives in a way that you will re-view many many times over many many years. Our clients tell us their Video was the BEST SINGLE INVESTMENT they made from their stretched budget. One team will ONLY cover ONE wedding in any one day. We have 4 Videographers and occasionally when fully stretched can accommodate 3 weddings on the same date but this is very rare. Quite often we could have two. Sometimes only one across the team. We have multiple standard Packages and can also create an a-la-carte service constructed specifically to the Clients own ideas and needs for specific memories. Our website contains all the details to allow the Client to make a selection and with a target budget in mind.